4WD off-road drive and experience on the Carpathians mountains and over Transylvanian hills, meet local people, old craftsmen, charming villages, visit Brasov’s old town, Bran castle, Peles Castle, Saxon fortified churches and many more. Off-road experience guided tour which offer the best off-road selection of the Carpathians mountains. You’ll meet on the route local people and you’ll be witness of their traditional way of living, local craftsmens, old historical areas and wilderness routes. Every day is different but equally interesting, alternating nature with cultural and ethnographic interest points. This tour allows you to experience the essential landscapes of Romania, while driving on remote wilderness and through mountain traditional areas as well as visiting the main touristic attractions of Transylvania. This tour addresses the central section of Carpathians in a comprehensive route starting from shadowed birch and oak forests and sky mirroring reservoirs up to alpine pastures and glacial lakes at 2200m altitude. The cultural and architectural heritage is sprinkled along the route. Optional: you can enjoy a self drive experience assisted by our guide. We pick you up early in the morning from your hotel in Bucharest or from the Otopeni Henry Coanda International Airport. 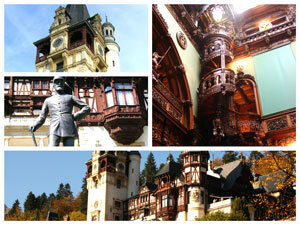 We’ll drive heading north to meet the Central part of the Carpathian Mountains Stop at Sinaia to visit Peles Castle and then in Brasov for a short visit of the medieval town. In the afternoon we’ll do a loop 4WD trip in the hills around Bran with an optional hike in the Canyon of Zarnesti, trying to discover the pastoral way of life of the Romanian sheppard. The stunning views of Piatra Craiului and Bucegi mountains and the “spread” traditional villages stay with us along our journey. We’ll sleep in Bran - Moeciu area after a dinner in a Romanian traditional restaurant. 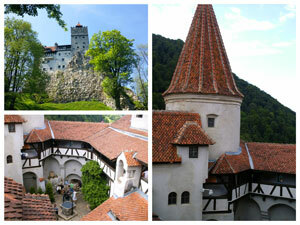 In the morning visit Bran Castle. 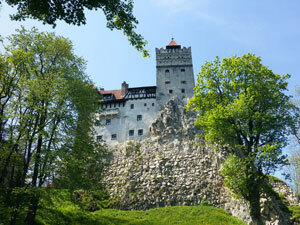 Then we’ll leave the Dracula Castle behind for a full off-road day in the mountains. We’ll have a spectacular route on top of the mountains with stunning views over Bucegi, Piatra Craiului, Iezer-Papusa and Fagaras. Well also drive along an artificial lake and gorges before reaching an altitude of more than 2000m. Depending on timing, we’ll have the opportunity to visit one of the oldest monasteries of Romania, built by the monks over 1000 years ago in a cave. On this day picnic lunch is compulsory before we arrive near the Vidraru reservoir at our hotel. We get an early morning start driving around the Vidraru lake, then off-road to Olt river’s Valley across the Lovistea county. In the afternoon we’ll drive along Latorita mountain ridge enjoing the astonishing view over Lotru Valley and Parang mountains, climbing through all kinds of vegetation all the way to the alpine pastures. After crossing the Jiet river’s Canyon we’ll end a long driving day in a colourfull area close to Petrosani mining zone. That’s another off-road experience deep into the Romanian ancestors homeland, the Sureanu mountains. Once arrived, we’ll visit the ruins of the capital and the solar calendar used by Dacians (Geti) more than 2000 years ago. The spread villages preserve the ancient way of life and give us the opportunity to meet the sheppards witness their customs and understand the pastoral pace of life. We end the day in the rural area of Sibiu. We continue our intrusion in the Dacian heritage driving off-road through the remote villages of Apuseni mountains. These isolated areas preserve not only the mentalities and social customs but also some of the ancient technologies. The Apuseni mountains is one of the largest carst areas in Europe and offers a different landscape spiced with limestone canyons and steep slopes. Late in the afternoon we rush on asphalt to Sighisoara, probably the most beautiful Saxon town in Transylvania, well known for its original architecture untouched from the historic times of the Hungarian Kingdom. We’ll pass the night in a hotel nearby. We take a brake on off-road driving enjoying the tour of Sighisoara fortress and, after a short drive, we have the option to relax by taking a bath in the thermal salty waters of Bazna Spa resort. The Bazna waters have magical effects for rheumatic conditions and comfort your mind and spirit. After a traditional lunch with bio products at a local farm we continue deep into the Saxon land driving on and off road to discover the Transylvanian Saxon civilization. Saxon immigrants were settled down by Hungarian kings starting with the 12th century to help them to control the conquered Romanian population and to protect the Transylvanian border against the Tartar invasions from East and South. During the centuries the Saxon succeeded to create an original civilization strongly influenced by the Romanian pastoral way of life. We’ll visit one of the many Saxon fortified churches which represents an unique military architecture style in Europe. 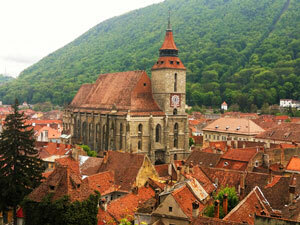 We’ll end the day in Sibiu, one of the largest and most important Transylvanian cities. For the last day we have the option to explore more on the way back to Bucharest, crossing the Fagaras mountains on Transfagarasan road or we can use a shortcut along Olt river’s Valley. Depending of your departure flight we’ll drop-off you at the airport. (The earliest departure possible after 2.00 PM). We can also drop you off in a hotel in Bucharest. ** for bigger groups prices on request! 7 nights accommodation; daily breakfast; professional private guide – English language; 4WD vehicle and fuel, Entrance tickets. Other services not specified on the intinerary; Entrance tickets at the monuments; Banking fees. You’ll be assited all the time but one specialist guide for adventure and off-road. The cars are 4WD vehicles special prepared for the type of roads used. Each car can fit maximum for people. Total distance is about 1500 km. The routes are designed to spice the long asphalt driving with off-road sections or attractions. Optional: we can organize this tour as a self drive and you can explore and enjoy the 4WD driving on the adventure roads. Prices on request! 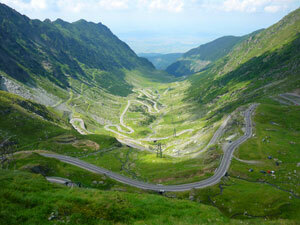 Why to book the 4WD Tour in Romania? It is a great way to explore Romania, the Carpathians mountains and to try your skills in a great 4WD Jeep tour in Romania. We’ll drive through less known off-roads or dirt roads in the mountains, with great landscapes. 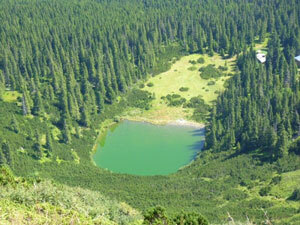 You’ll enjoy the beauty of the Romanian mountains, the wild forest. You’ll meet local people and find more about their way of living and their customs or crafts. Optional we can organize wildlife watching tours. Overall you’ll be delighted with breathtaking scenery, good natural food and with a great off-road tour and adventure in Romania. Your tour to Romania will also include some of the history and tourist attractions, most of them located in the charming Transylvania, the biggest and most famous region of our country. 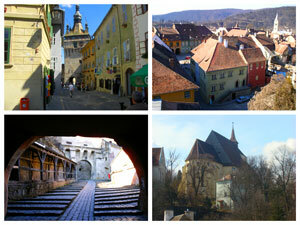 Discover our charming towns, great castles and old villages. 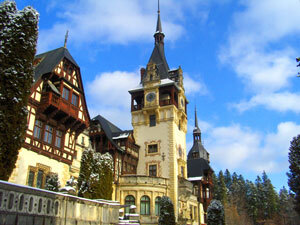 Get ready for adventure and book this 4WD tour to Romania! 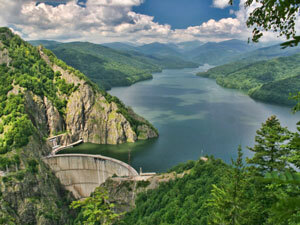 You may be also interested about our section for nature and adventure tours in Romania.